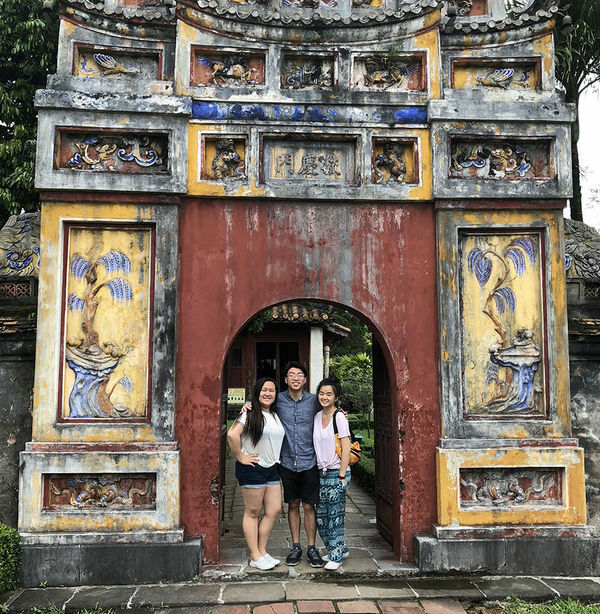 Tony Do with two other student research assistants at Imperial City, Hue, the former imperial capital of Vietnam. This was a decisive moment for Do, as he did not feel like this is his home. He was born in the United States and grew up in Syracuse, New York, but he’s always identified as Vietnamese-American. Both of his parents grew up in Vietnam, but fled the country after his father fought in the Vietnam War. His mother has returned many times over the years to stay connected to family and friends, but his father never went back. Do often wondered if he would ever make the trip. But there he was, standing at his ancestor’s grave site, exploring an identity that he always wanted to understand. “At the moment, I felt very conflicted,” says Do. “As I spent more time in Vietnam, I started to feel very connected to the people." Do’s quest to understand his own ethnic identity was part of a research project led by Anre Venter, director of undergraduate studies in the Department of Psychology. The project, “Ethnic Identity Minority versus Majority Ethnic Identity Development: A Cross Cultural Examination,” was funded through Notre Dame International and the Liu Institute for Asia and Asian Studies. It was intended to provide three Vietnamese-American undergraduate research assistants an opportunity to explore their identity. All three have family in Vietnam, but unlike Do, the two other undergraduate research assistants had visited before. While research has been conducted in the area of ethnic identity development in minority groups, Venter believes little has been done in comparing the process of ethnic identity development within particular ethnic groups. Venter identified two separate research topics to prepare for the trip to Vietnam. Prior to leaving, he worked with the three students to collect data from two groups of college students: American (non-minority) students and Vietnamese-American students. 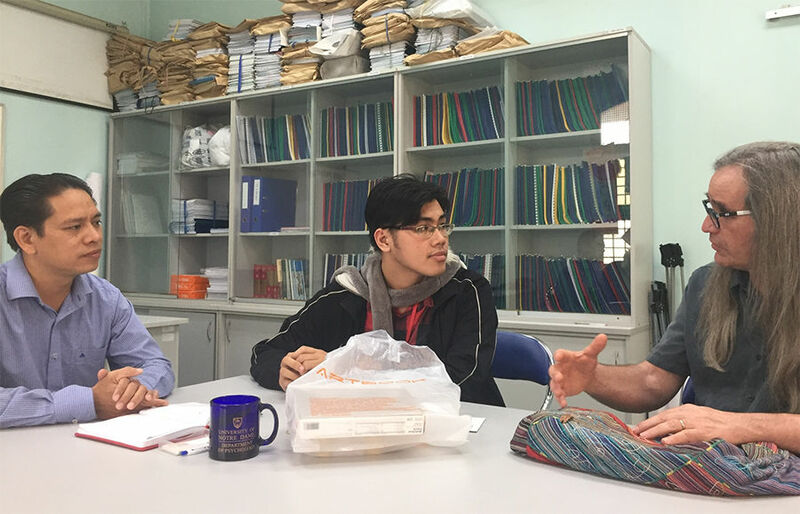 Once the group arrived in Vietnam for the week-long trip, they worked with the dean at the University of Social Sciences and Humanities at Ho Chi Minh City University to finalize the data collection, as well as connect with local Vietnamese college students. They also connected with their own family members while in Vietnam. The project had a number of projected outcomes. Venter wanted the three Vietnamese-American research assistants to have a unique personal experience and clarify their own understanding of their ethnic identity. The project also incorporated the students’ academic work in a class focused on the Asian-American experience and the research may ultimately form part of a capstone project for one of the students. On a broader level, the project addresses cultural differences in self-concept and self-esteem between Vietnamese-American students and Vietnamese students in Vietnam. An integral part of this examines the process of ethnic identity development in between these two groups — how members of these two populations identify themselves and their feelings associated with that identity. Venter noted that the concept of self-esteem is still fairly new in Vietnam. In fact, there is no corresponding word for ‘self-esteem’ in Vietnamese. In addition, Vietnamese measures of self-esteem differ from western versions in that most of the items in the Vietnamese versions are focused on the respondent’s perspective on how their family views them. This fits with the traditional East-West distinction in self-concept with the western sense of self being more individualistic and the eastern more collectivistic in nature. 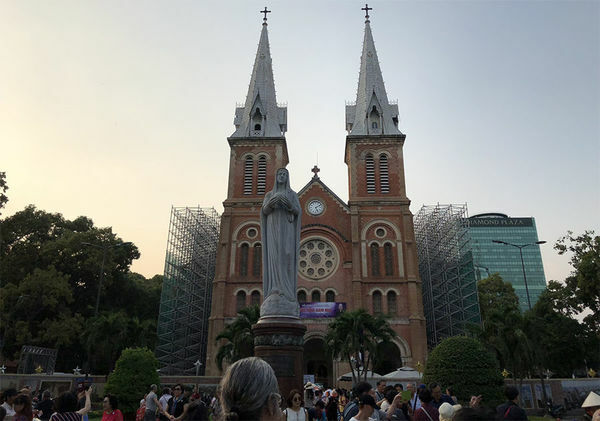 While Venter and the three Notre Dame students spent a lot of time gathering data in Vietnam, their work isn’t done just yet. They’re looking to extend the project by going back next spring to gather more data and perform workshops at the local university. They also want to visit northern Vietnam to further their research in more rural areas. While Do now considers Vietnam home, it’s still a sensitive subject with his family. 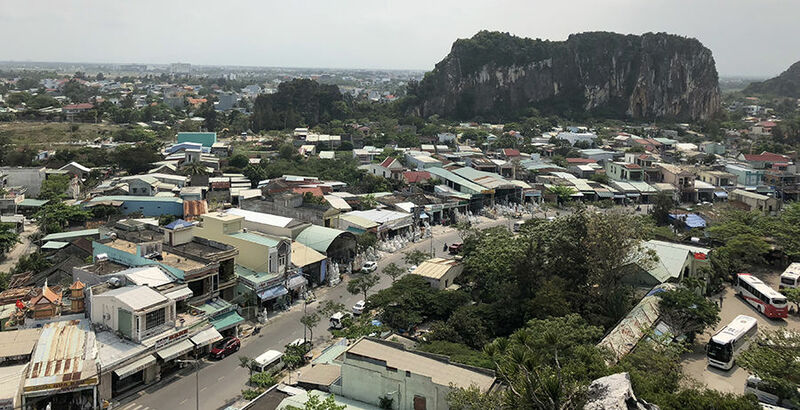 He always assumed his first visit to Vietnam would be with his parents and siblings, but he says this trip allowed him to focus on his own personal identity exploration.